At last, I have seen Transformers: Revenge of the Fallen. Again, Michael Bay did a pretty good job on the movie and I am still looking forward to more sequels. The CGI was done perfectly especially the Egypt scenes. And OMG, Megan Fox nailed it! She's sizzling hot. Though unlike the first, a lot from the Decepticons and from the Autobots were present in the movie but some really didn't make an impact on the overall plot. I, along with the other fans out there were looking for that "something" in the movie. And I guess if that "something" was contained and provided in this movie, I will definitely crave to watch it over and over again. 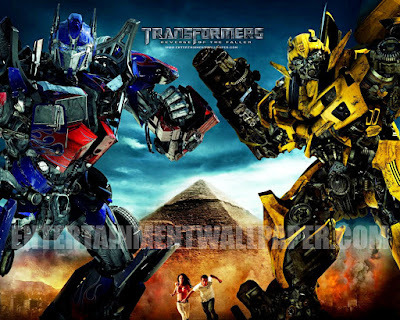 I am a Transformers fan and I have high regards for this movie especially to Michael Bay and the cast. I would want to watch it twice but never three times.